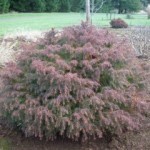 A dwarf, evergreen, mounding shrub. The finely textured blue-green foliage turns russet to bronze in winter. 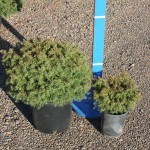 Needs little or no pruning to maintain the tidy form. Protect from wind. It prefers full sun to part shade in a well-drained soil. Water during dry weather.